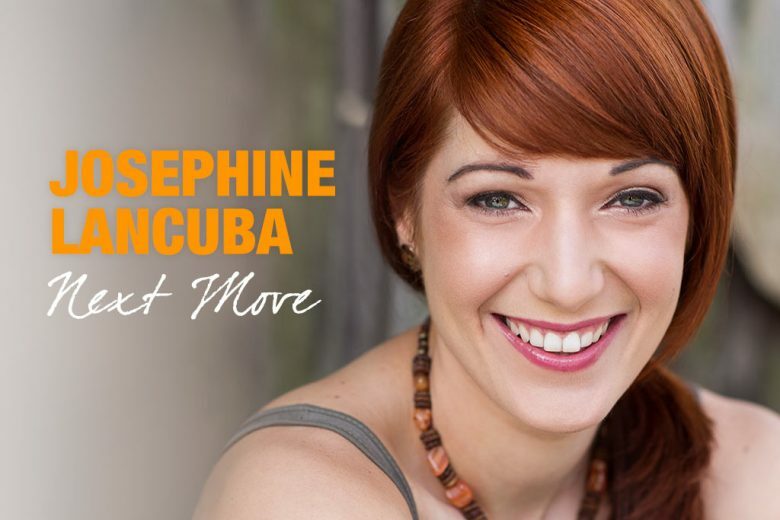 When Josephine Lancuba became sick of struggling to make it as a performing artist she started her own company. Today she’s managing a successful (and rapidly expanding) business around her growing family. I started my career in the entertainment industry at the age of eighteen when I was fresh out of full-time performing arts college. Originally I had pursued work as a performing artist with dreams of fame and fortune. In reality I was making ends meet whilst waiting on tables and trying to land my next acting or singing gig. That lifestyle was exciting for a while but by 23, the gloss had worn away and I was left with no job and no money. The future was looking grim. I decided to take matters into my own hands and took up a short course: Certificate IV in Business. During that time, I also began an originals live music group that would later go on to perform every week on stages across Australia, as well as achieve distribution in the European market. Despite all my efforts to make money from my craft, it was still not financially rewarding and I wasn’t interested in being the stereotypical ‘starving musician’. I began teaching performing arts classes to young people and realised it was rewarding work. It was through teaching that I found my passion for arts education, and later progressed into studio management. In my mid-20s I craved more and began producing musical theatre shows for young people. This lead to becoming the Creative Project Manager for a large children’s entertainment company that owned major character licenses in Australia and New Zealand. I enjoyed managing the talent, as I got to travel on the job and often worked on television sets, making me feel a part of the action. I started my business in 2008. My parents and older sister are business owners so I suppose it runs in the family. I love the flexibility that comes with running your own business and I have great aspirations to earn a fantastic income, which is difficult in the arts sector unless you are the one creating the work. I absolutely love it! What does Next Move do? I like to think of Next Move as the experts in children’s entertainment. We offer unique performing arts classes primarily in schools and community events. We also provide themed kids parties and live shows, which I write, produce and direct. Our shows are sold to schools and clubs across New South Wales and Victoria. Up until now, Next Move has been a mobile service where we come to the customer, but this year in April, we are opening our first studio location in Sydney where we will be holding weekly performing arts programs, as well as doubling as a kids party venue. You began outsourcing business tasks late in your pregnancy. Why was that? During my entire pregnancy I had friends telling me that running a business was going to be impossible and it just couldn’t be done. This actually frustrated me because I am the type of person who feels that I can take on the world, and saw their comments as negative thinking. I knew deep down it would be difficult but refused to believe it was impossible! It dawned on me during my seventh month as lethargy was kicking in that I couldn’t do it all on my own – but that didn’t mean I had to throw in the towel. I just needed some help! So the first thing I did was make the decision to stop teaching and employ a group of casual teachers to cover all classes while I coordinated them. This freed me up during the day to actually work on my business. I also found the sales side of things to be tedious and knew that my joy really came from the creative side of my business including developing new programs and writing new shows. I loved working with the talent but hated selling the talent. It was in my eighth month of pregnancy that I employed a sales manager. She is a stay at home mum who works from home. I can only afford her one day a week at this stage which works well for both of us, but I plan to increase this next year as I grow my business even further. And how has that helped grow your business? Having a sales manager dedicated to only selling my service means that more potential clients are contacted, and existing clients are kept in touch with on a regular basis. Employing a sales person has meant I have had to create a more efficient client database, which has improved our customer relationships and as a result sales have gone up 70% with 95% of our clients re-booking. Also, as a result of employing skilled teachers to cover my programs, I now have time to work on my business rather than for my business, which has increased the quality of service I provide resulting in more repeat bookings. I have recognised that I am not an expert in all dance styles and performing art forms (and that’s okay) so having teachers who specialise in their genre means the client receives a more authentic experience, and in turn, allows me to broaden my scope of what we can offer. Nothing is off limits, provided I can find the talent to service the contract. I am finally free to give my clients the service they deserve without me burning out. What have you found most challenging about starting and running a business? The most challenging aspect of running a business for me is the constant need for improvement while trying to sustain a good income. The temptation to spend money on ‘bells and whistles’ is high especially in the entertainment industry. I envisage Next Move as a global company and often need to kick myself. ‘Baby steps are okay’, is a mantra of mine to keep myself in check. I am in business to turn a profit and passion sometimes gets in the way. I find writing a priority list helps when tempted with big purchases. It’s slowly evolving but I’ll get there! I really do love what I do and I feel so lucky that I get to spend time raising my daughter while fulfilling my passion. I have family time with my husband and get to create my own schedule. That’s definitely a great perk. How do you manage your business around your family? Right now I have a four-month-old baby so her naptime is my work time. Though sometimes I find myself holding her in one hand while typing with the other or stabilising her bottle with my chin while I answer the phone (praying she doesn’t cry while I am chatting to a client). I find strength in having a supportive family. When there is a day I simply can’t get anything done and have a deadline, I call my sister or sister in-law to babysit for a couple of hours. I don’t often do that, as I feel guilty about it at times but I have the option there which helps. Also my husband is very hands on, so when he gets home from work I will let him know if I need a couple of hours work while he sorts out bub. There is no denying its not easy and I find myself emailing quotes at 2am at times, but the work gets done. What’s your vision for Next Move? My vision for Next Move is to be the largest children’s entertainment provider in Australia, and have a ten-year plan for taking it global with licensed characters, touring shows, workshops and events. What tips do you have for other business mums considering outsourcing? Do it! Do it! Do it! You will increase your sales and have more time to develop your business. It’s the best thing I ever did. I get to enjoy watching my baby and business grow at the same time. What could be better than that? You can find out more about Next Move on their website.